I wa recently been nattering about a loose cycle of just pre-Swinging London Soho shennanigan films and The World Ten Times Over. In an interconnected manner, during that film, in a meta fictional/blurring of the boundaries between fiction and faction manner, is a scene where a poster for the then banned documentary West End Jungle can be seen. West End Jungle purports to be an overview of the worlds, culture and lives that the above cycle of films inhabit but was in fact an exploitational staging of such things. 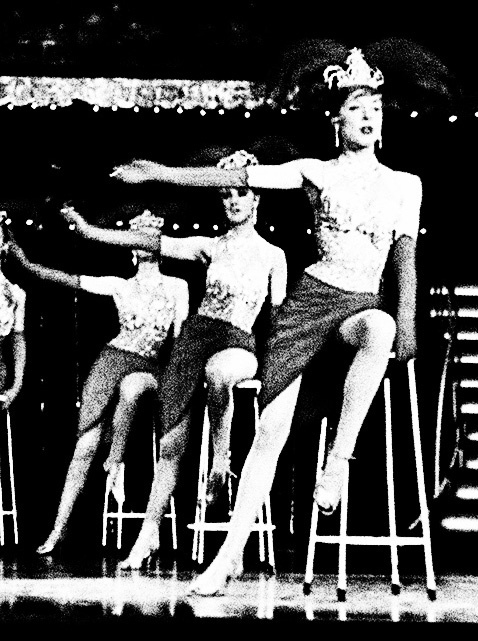 It is part of a loose film cycle largely by director/producer Arnold Miller that would lead to future salacious sometimes partly-non-documentaries such as London In The Raw and Primitive London, both of which have been rescued / rehabilitated and gained an air of academic respectability by their relatively recently release, brush and scrub up by the BFI. 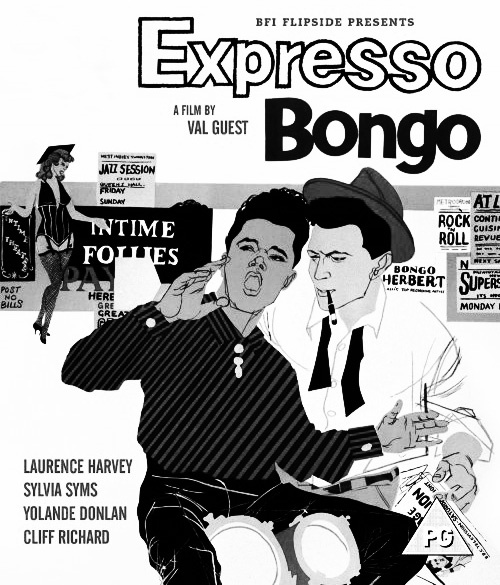 This rescue and rehibilitation is something that as I type is a process that is also being undergone by the Soho shennanigan film cycle titles Expresso Bongo and Beat Girl, as part of the BFI’s Flipside film release on DVD/Bluray and latterly internet label. When it was first inaugurated London In The Raw and Primitive London were two of their first releases and it felt like the label had been set up just for me; a sort of classy trawling of the underbelly and neglected undercurrents of film. The films that have been released are often more cultural curios than those that could be considered cinematic classics but none the less worthwhile for that. If you were to imagine a very selectively done Something Weird Video with institutional status, public funding, a tendency to wander towards an almost Derek Jarman-esque/arthouse take on what constitutes mondo film, a touch more prudish or possibly jurisprudent take on such things than say Something Weird, high end reproduction and releasing, well you could well be heading in the right direction. Peruse the Flipside releases here. Possibly discover related events that leave you slightly frustrated at not being able to go to them/having missed them here. 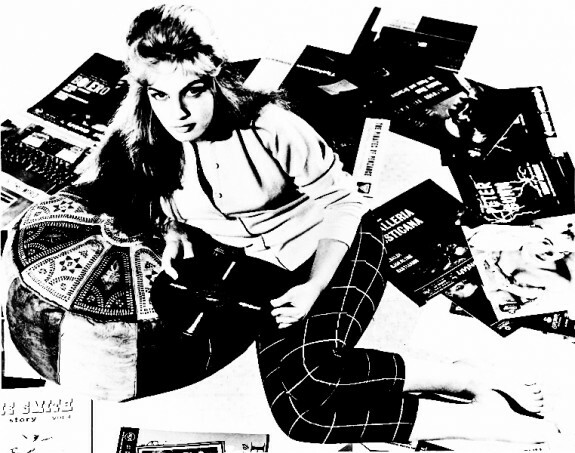 PS Is it just me or does the publicity photograph of Gillian Hills from Beat Girl above seem like something of a predecessor to Mr Vince Ray’s Death Of The Teenage Death Song work?